Want to know all about bergamot essential oil? 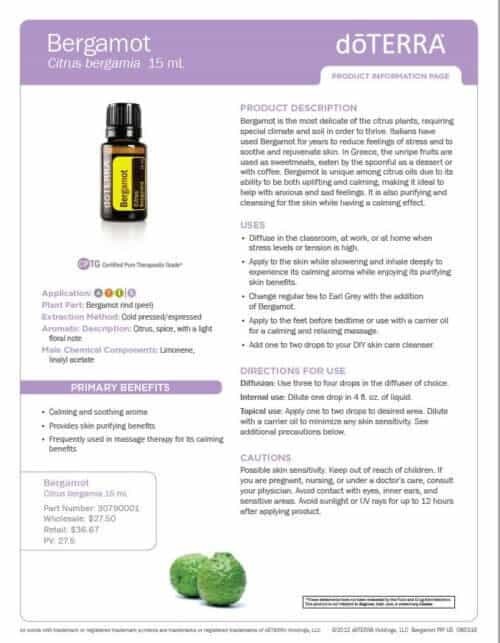 I have included all there is to know about doTERRA bergamot essential oil uses including DIY, diffuser and food recipes. From the coast of Reggio di Calabria in Italy, Bergamot is one of the most unique citrus oils. For years, Italians have used Bergamot for many purposes—to rejuvenate the skin, reduce feelings of stress, and more. 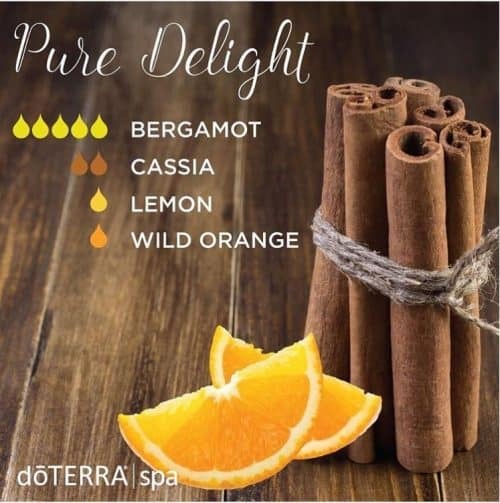 There are many unique attributes of Bergamot that set it apart from other citrus oils, including the exclusivity of where it is grown, the fact that it is a bitter fruit that produces sweet oil, and its ability to create an uplifting and calming environment, just to name a few. Commonly used for soothing skin, in massage, and to purify and uplift, Bergamot essential oil is a versatile go-to favorite at doTERRA. Like other citrus oils, Bergamot essential oil makes the perfect addition to any glass of water. If you want to give new life to a plain drink of water, consider adding a drop of Bergamot oil along with some cut up pieces of fruit. While the aromas of many citrus oils are known to be stimulating or invigorating, Bergamot oil has unique calming capabilities that can help when tension or stress levels are high. 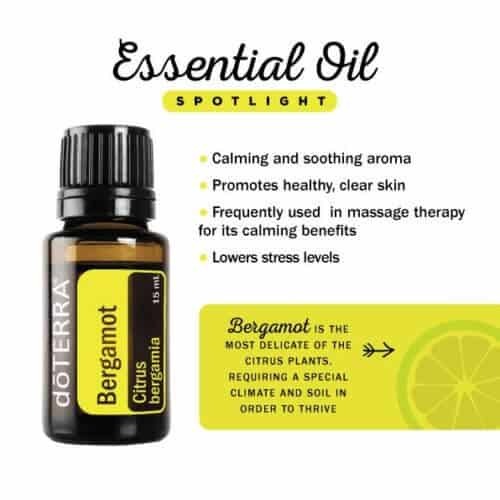 One of the best ways to glean the calming benefits of Bergamot essential oil is to diffuse the oil. The next time you feel stress levels or tension getting high, consider diffusing Bergamot oil in the classroom, at work, or at home for a calming effect. The calming benefits of Bergamot essential oil’s aroma are not only present during aromatic diffusion, but also during topical application. 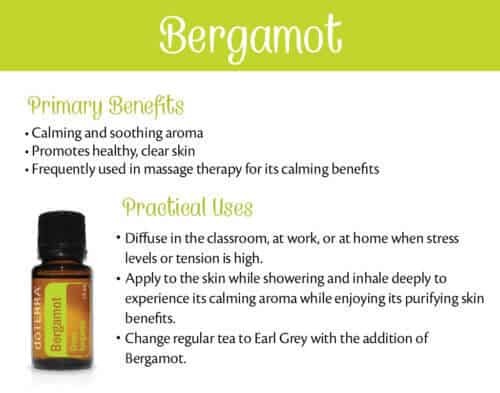 These calming properties make Bergamot essential oil a popular choice for massage therapy. 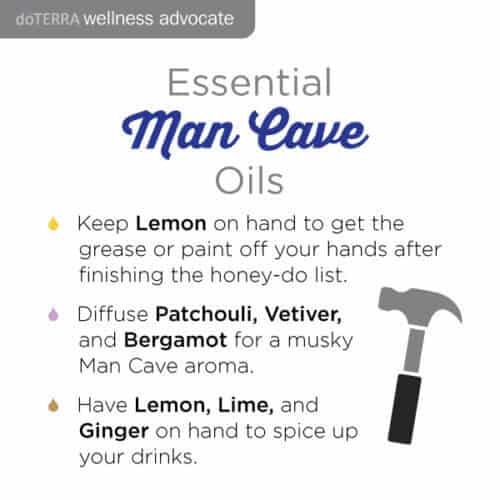 Not only does the oil promote a calm, serene atmosphere, but it is also purifying for the skin, which is why many massage professionals use Bergamot oil. If you want to use Bergamot oil for massage at home, use a carrier oil or dilute with doTERRA Fractionated Coconut Oil for best results. 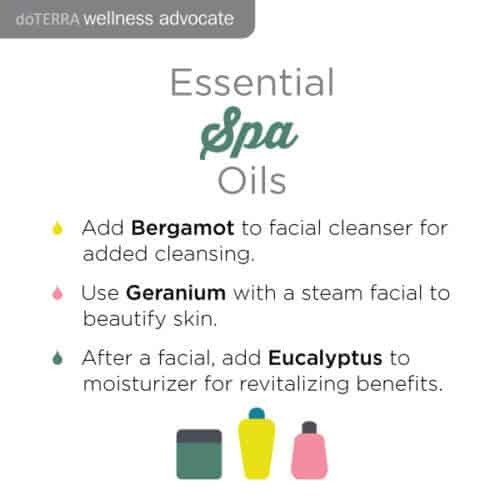 Want to enjoy the purifying benefits of Bergamot oil for your skin? Make your own Bergamot oil foot mask! Using organic ingredients like raw honey, Greek yogurt, and celery, this mask will help your feet feel soft and luxurious. Applying this smooth mask to your feet allows the rest of your body to absorb the moisturizing, restorative properties that the concoction holds. The purifying power of Bergamot essential oil will soothe and cool dry or distressed feet—rejuvenating your skin from heel to toe. 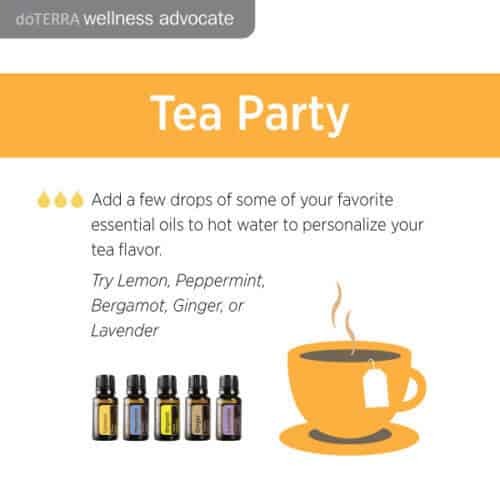 Do you enjoy adding essential oils to your tea? When you have Bergamot oil on hand, you can enjoy a cup of Earl Grey whenever you want. With a pure, citrus and spice flavor, Bergamot oil is the perfect companion to your daily tea break—quickly changing a regular cup of tea to Earl Grey with a few simple drops. 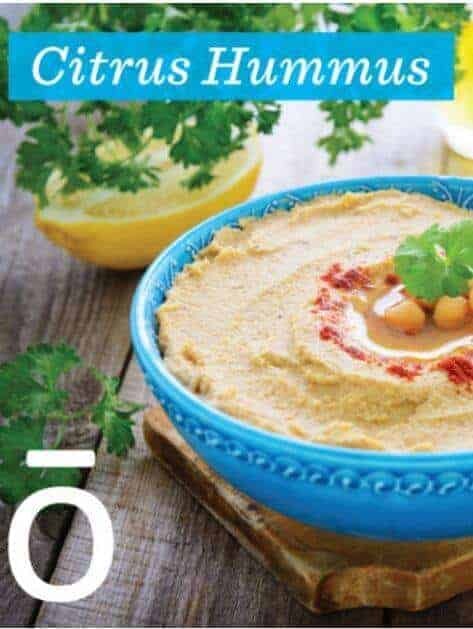 Remember, when adding essential oils to food or drink, less is more. Start out with a small drop and work your way up from there. If the oil is particularly strong, dip a toothpick in the oil and add it to your water, tea, or dish. This keeps the oil flavor from being too overwhelming. Watch this video to learn more about using Bergamot oil for tea. If you are ready to unwind and refresh your skin after a taxing day, Bergamot oil offers a simple solution for relaxation. At the end of a long day, you can enjoy the calming and skin-purifying benefits of Bergamot oil at the same time by applying it to your skin while showering. While in the shower, apply Bergamot oil to your skin and inhale deeply to experience the calming aroma while enjoying the purifying skin benefits of this versatile oil. No matter what mood you are in, Bergamot oil can help promote uplifting, relaxing, and confident feelings—particularly when diffused. When diffusing on its own, use three to four drops of Bergamot oil in the diffuser of your choice. Diffusing this oil can help promote a sense of self confidence when you feel frazzled, or a sense of inner peace when feelings of stress abound. 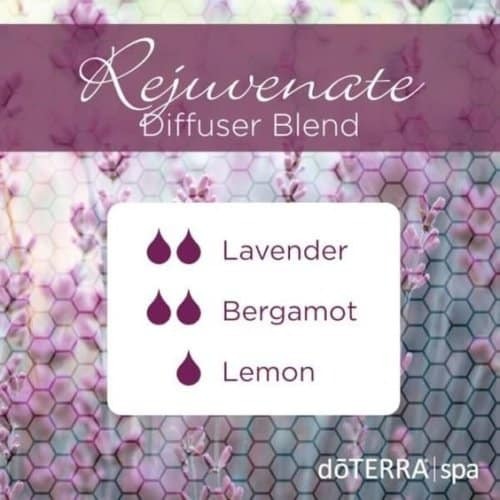 Looking for a good diffuser blend that uses the uplifting aroma of Bergamot? Try three drops of Bergamot and three drops of doTERRA Balance Grounding Blend for a relaxing and energizing diffuser blend that lets you escape a mundane or exasperating day. 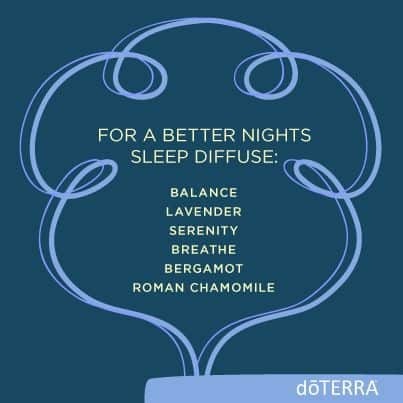 Not only will the calming aromatic benefits of Bergamot essential oil relieve feelings of stress or tension throughout the day, this oil can also help you prepare for a peaceful night of rest. Apply Bergamot oil to your feet before bedtime and enjoy a sense of calm and harmony as you drift off to dreamland—leaving the cares of your day behind. By combining two of the most relaxing oils, the Subtly Spring diffuser blend harnesses the calming properties of Bergamot and Lavender to produce a soft aroma that helps reduce feelings of tension. 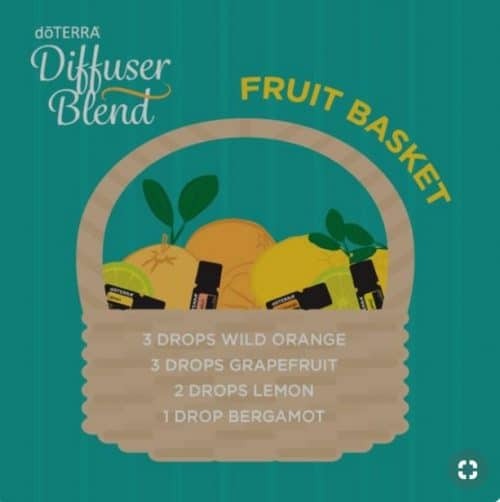 Just like a summer drive with the windows rolled down and the volume cranked up, this diffuser blend will help energize your body and mind. You may even want to start singing. 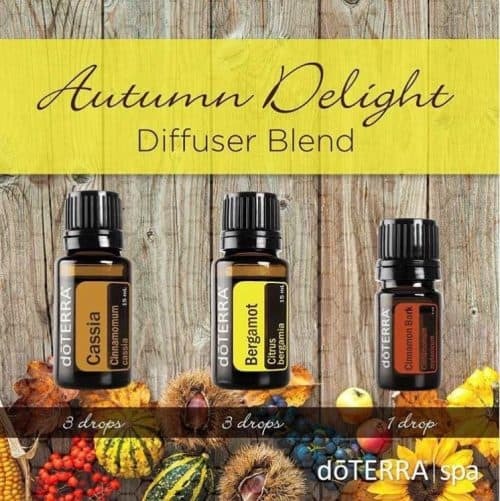 Take a walk through the rows of a tranquil orchard by diffusing this fruitful blend. You will soon get lost in the uplifting, carefree aroma of Coriander, Bergamot, and Grapefruit as you smell the sweet scent of Mother Earth’s finest fruits. No matter your emotional state today, this blend will help! Bergamot and Juniper Berry essential oils enhance positive feelings and have a calming effect. 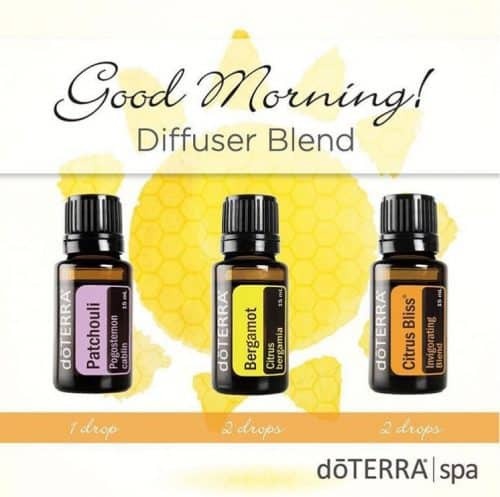 This blend provides a calming and soothing aroma, with a hint of Lemon to promote a positive mood. A morning in the mountains smells so fresh and bright you just want to drink in the scent all day long! 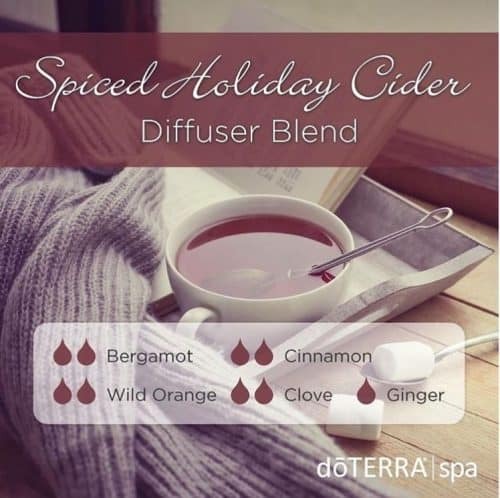 Try this diffuser blend for an awakening and fulfilling scent we just can’t get enough of. Grounding. Balancing. Uplifting. Refreshing. 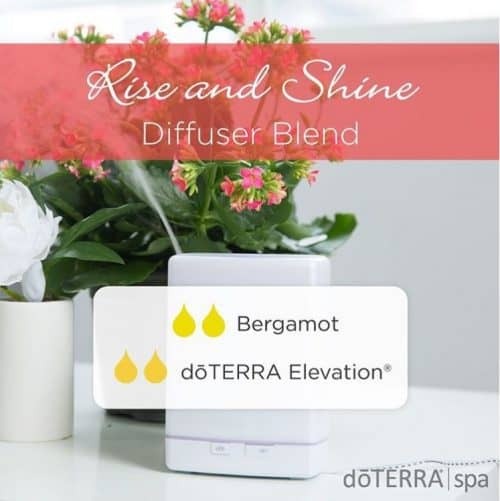 The benefits of this diffuser blend are just like a beautiful mountain hike! Company coming? 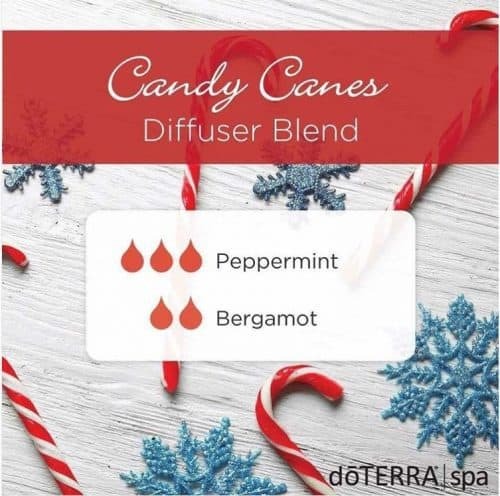 The best way to spread Christmas Cheer is by diffusing doTERRA for all who are dear. 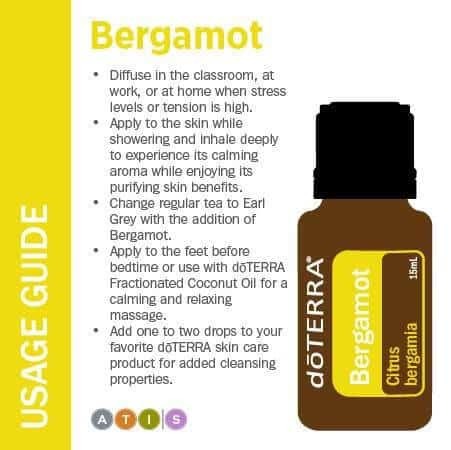 I love Bergamot! I read that it’s good for memory as well. 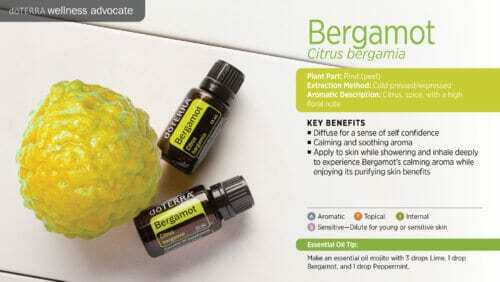 Bergamot is one of my favorite flowers and scents! I think I am going to try some of the oil at home in my burner!